Picture of two girls swimming in water. Sometimes talking to your best friend is the only therapy you need, can’t imagine life without you. 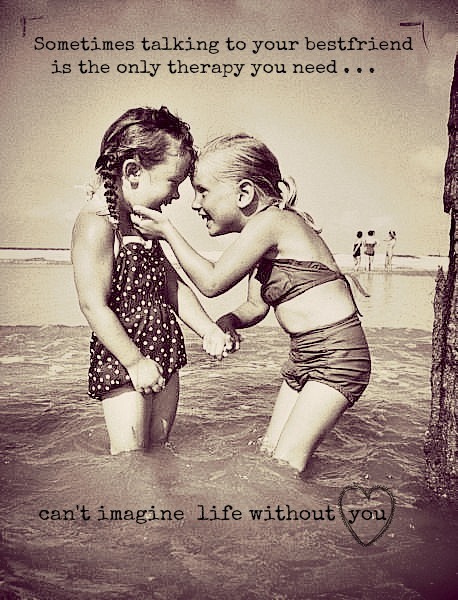 Best friend quotes on PicMonkey. Use the PicMonkey photo editor to create your own meme with different filters, effects and collage. Create a photo quote just like this one on PicMonkey by visiting our photo editor. You can use our draw feature to add hearts around words or edges to your font. Learn more about adding text to photos and using a sepia filter to add a finishing touch to your photos.